Hat’s off to David for this week’s e-learning challenge – this was a fun one! I’ve never been interviewed, but I feel like it helped me out in chatting candidly (or kind of candidly…alright…not really at all – I scripted myself haha) – something I’m going to be doing next month at the E-Learning Heroes Community Workshop in Toronto…I’m scared! – Tell us a little about yourself and the types of e-learning projects you most enjoy. – How did you become an e-learning or instructional designer? – What are the essentials of good e-learning design? – Tell me about your most successful e-learning project. 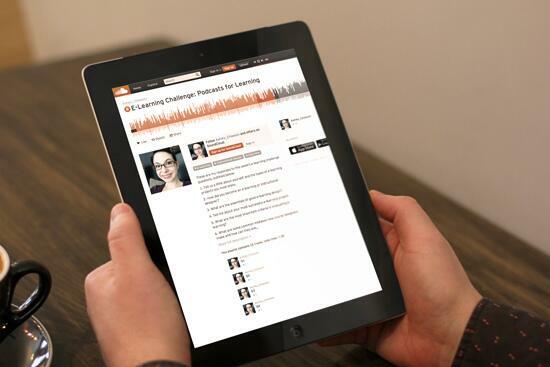 – What are the most important criteria in evaluating e-learning? – What are some common mistakes new course designers make and how can they avoid them? – How is designing mobile learning different than designing for the desktop? – How do you evaluate whether your course was effective? – How do you keep up your skills and stay current in the industry? – What is the future of e-learning? I loathe public speaking and I’m working on getting better, so the first thing I did was script my responses to these questions, because I’m really not great at responding to questions on the fly. After scripting out all of my responses, I hit up Camtasia and recorded (and re-recorded) all of my responses! I exported to .wav format (thanks advanced export options!) and uploaded the entire playlist to Soundcloud, added tags and a description, and saved the playlist – easy peasy! You can listen to my recording, below (or by clicking here), in all of it’s awkward glory – hopefully you find my responses insightful or informative – that was the goal! Great job, Ashley! You’re a natural interviewee. 🙂 I think you were really smart to keep your answers bite-sized. Made it easy to focus on your points. Well done! I have some podcasts planned but haven’t started recording yet. Thanks for the inspiration! Great work.